Hey everyone! Here’s to wishing you a restful, spontaneous, and memorable week, even with work and our countless other personal obligations. This go around, I was looking to share some of my thoughts concerning the pacing of our creative writing. Amidst themes, character development, and opening and closing lines, there is the ever-present tether of pace, which connects our entire story from front to back. If we leave something to be desired with the speed at which our story unfolds, then we run the risk of losing our readers and watching our story fizzle out. How do we ensure that our writing moves at a brisk pace? First, a word on structure. Writing has come a long way since the advent of the printing press. Long texts have systematically been divided into shorter and more manageable chunks — what we all know as chapters. However, chapters aren’t the only building block of fiction. The best place to start when finding your own suitable pace is with your words. On the eve of the Benediction Ceremony, Casimir refused to cut corners for his girlfriend. He stopped by the flower shop, rain pelting against the sidewalks with a faintly searing hiss from the day’s heat, and looked for the best boquet of flowers he could imagine. It was Brena’s special day, after all. Rain fell in light sheets as Casimir, still head over heels over Brena’s last kiss, hurried to the Crossing Flower Botique to get her one final gift before the ceremony. He was going to be late, but it would be worth it. 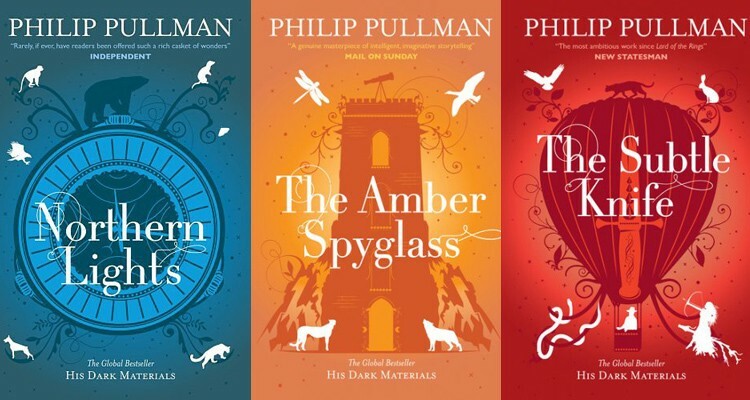 For some great examples of powerful and engaging prose, check out The His Dark Materials trilogy, by Philip Pullman. He does a wonderful job of melding world building with character and plot development, all with a tone that is as wonderous as it is thrilling. I love ’em! There’s no better way to practice pacing than by writing action scenes. In general, action scenes are easier for many writers to nail. Why? Because, as you might have learned in one of your myriad English classes, shorter sentences = quicker action. I happen to agree with this simple adage — up to a point. When you shorten your sentences, you don’t have to do so at the expense of your creativity or word flow. Sentences like “He fired off two shots,” and “The elevator plummeted down the shaft, narrowly missing Perpetua,” are still short, but manage to engage at least a couple of senses, namely sound (“gunshots”) and motion (“plummeted down”). Which characters are in this scene? Have I established where they are in respect to each other? To their main goal(s)? What’s at stake for my characters? Do I feel like my main characters are actually in danger? What would be the outcome if they died in this scene? If they survived? Did I properly set up this scene in previous chapters? Is the buildup well developed, or did I simply rush to get to the action? How does this entire scene advance the story? Is the plot still flowing, or does it feel bogged down around this particular scene? One of the biggest threats to our story’s pacing is our own desire to finish the darn thing! As we write our way towards that sparkling finish line, it becomes all too easy for us to fall into the trap of sprinting ahead with the plot — a mistake that usually leaves our readers in the dust. How can we avoid carrying our readers through the last few chapters at a breakneck pace? Don’t get in a hurry. Every chapter still deserves the same thoughtful consideration with respect to character development, story progression, setting, details, and thematic elements. If you’re worried about your chapters growing increasingly thin, try writing out your paragraphs with an overabundance of sensory details and dialogue. You can always trim upon revising. Let your protagonist lead the action. They are the readers’ guide, after all! After all the effort you put into developing trials and tribulations worthy of your protagonist, make sure that there’s a payoff. Do they get the girl or guy in the end? Is the murderer’s identity revealed? Do your main characters stop the end of the world? All of these should be yes, and your protagonist has to be the one leading the charge regardless of the outcome. Make sure the bad guys get their dues. Simple enough. Tie up all of your subplots. These are the lifeblood as far as excellent character development goes. Each thread can be addressed separately, and you might keep your thoughts organized by outlining each subplot and identifying which characters are involved. Write a fitting and well thought-out ending. With the neat joining of all of your subplots comes a satisfying ending. Closure is what many readers look for. Even if you’re writing a sequel, a story should have a powerful ending that can stand on its own. A good mixture of personal successes and defeats can make for a deeply satisfying conclusion to your story. That’s all for tonight! I hope you enjoyed my thoughts on pacing. Have any thoughts of your own to share? I’d love to read your comments!